Home Eats Eats ¡Viva Papaya! There’s a lot to like about the small, family-owned restaurant in Arlington. 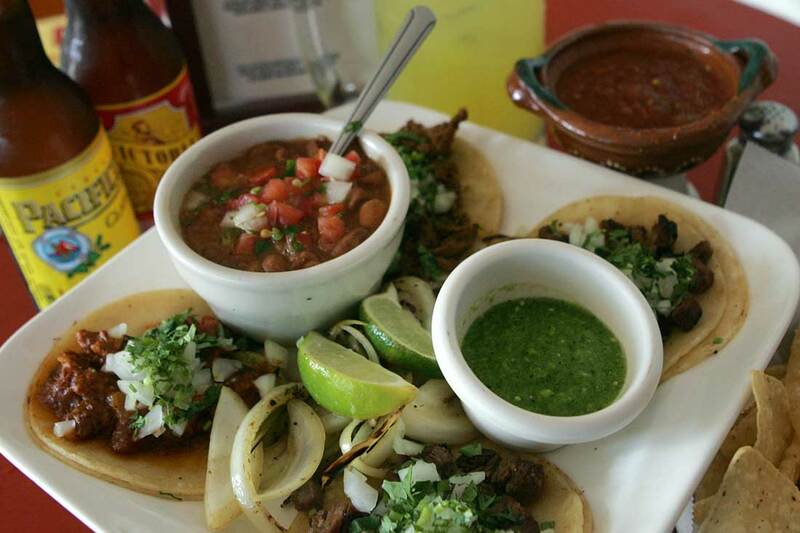 Papaya’s street taco sampler is big on flavor and low on cost. Photo by Lee Chastain. 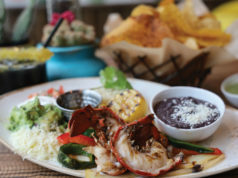 Papaya Mexican Grill is a thriving little joint in Southeast Arlington, an area full of independent ethnic eateries. 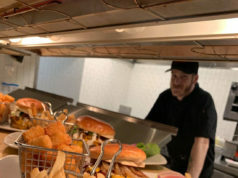 The restaurant is owned by the three brothers Chiffer and their unrelated partner, Zantoz Mexia. At least three of the proprietors are usually onsite during busy times, and there’s probably no request that stumps them. Case in point: My guest and I eavesdropped on one of the brothers cheerfully fielding a question from a diner who didn’t eat meat or dairy products. At a Mexican restaurant, vegan’s a hard bill to fill, but the veggie fajita plate that appeared after some negotiation looked really appealing. Skip the queso –– the orange easy-melt cheese had a weird taste, probably due to the green pepper that suffused the dip with a decidedly raw flavor. Move right on to the entrées. 100 W Pioneer Pkwy, Ste 120, Arlington. 682-238-3073. 11am-9pm Sun-Thu, 11am-10pm Fri-Sat. All major credit cards accepted. [/box_info]For $10, you can order four street tacos stuffed into doubled-up, palm-sized soft corn shells with rice and beans or five tacos without the accoutrements. 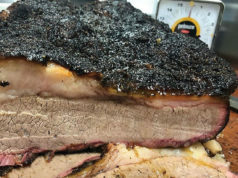 Choose from four meats for this deal: The barbacoa –– luscious, shredded, slow-simmered brisket with a little, but not too much, spice –– was the best. The pastor was also good –– tiny, perfectly cooked cubes of pork in a sauce that had a latent hit of heat. The carnitas taco was packed with a slightly sweet shredded chicken, which was bland in comparison to the other two but still pleasant with the accompanying chopped onion and cilantro. The carne asada tacos were the least enjoyable of the bunch –– the meat cubes were just a little dry, although a squeeze of lime helped revive them. The street taco plate comes garnished with delicious pickled jalapeños, which were more vinegary than zesty, and lightly sautéed fajita-style onions, which still retained their crunch. I would have sworn that the deliciously silken refried beans were made the old-fashioned way (with lard), but when I looked at the leftovers the next morning, the beans were still soft, not hardened into a saturated fat-infused ball. The rice was not typical dirty rice, either: white rice cooked in stock with a garlicky spice blend and flecks of black pepper, cilantro, and other spices. There was the obligatory mix of pre-frozen peas, carrots, and corn in the dish, but you can eat around them. Usually the rice ends up being left on the plate, but this was so tasty, I wanted a lot more of it. A single regular carne guisada taco was more of the cubed beef, this time in a slightly sweet, definitely spicy sauce on a lightly grilled flour tortilla. It was one of the most delicious things I’ve ever tasted, and I wished for more of the meat, maybe served atop the really fabulous rice. The crustaceans in the shrimp quesadilla were smallish and not fresh off the boat, but a generous amount of the seafood was sandwiched in between two perfectly grilled flour tortillas. Additionally, a sweet chile spice livened up this otherwise simple grilled cheese. The quesadilla came with sour cream and a decent scoop of guacamole, which was heavy on the onions. Papaya’s menu lists two kinds of enchiladas: cheese or beef, topped with either fajita chicken meat or chopped steak. The cheese enchiladas with chicken were flawless comfort food –– gooeyness inside thick corn tortillas topped by fairly Norteamericano-spiced fajita chicken alongside more of the tasty beans and rice. If the dish lacked originality, the enchiladas made up for it in classic execution.